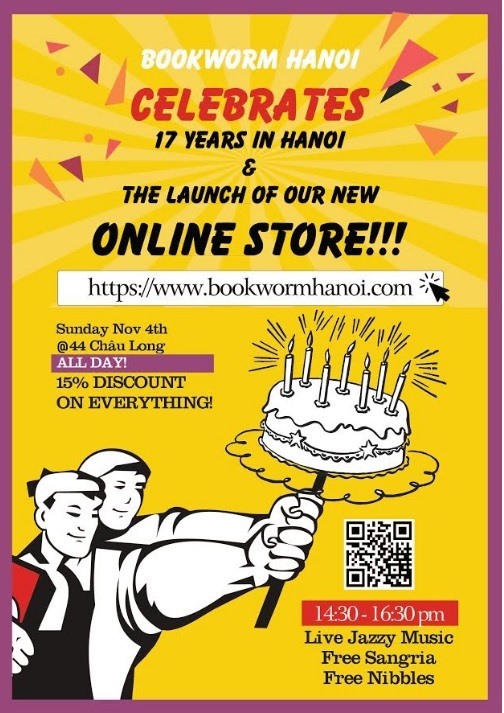 Bookworm will celebrate its 17th birthday in Hà Nội with a celebration on Sunday, November 4. HÀ NỘI — Bookworm – “the best little book cafe in Southeast Asia” – will celebrate its 17th year in Hà Nội with a celebration on Sunday, November 4. The event will also include the launch of its new online store www.bookworm.com. The celebration will feature a live jazz music performance from 2.30pm until 4.30pm. Free sangria and nibbles will also be on offer, as well as a 15 per cent discount on everything.